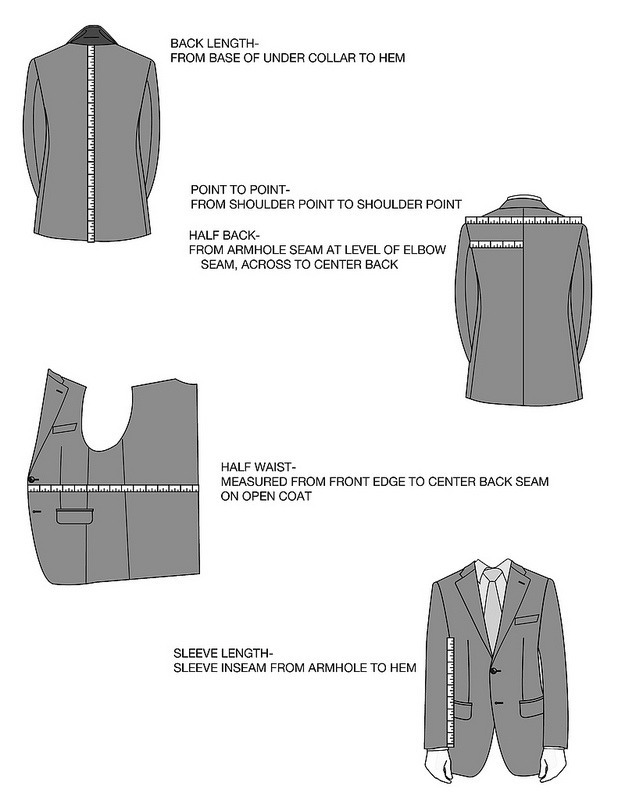 Professional tailor and patternmaker Jeffery Diduch created a nice little guide on how to properly measure garments. This is useful if you ever want to purchase made-to-measure clothes online, or if you want to sell clothes on eBay or StyleForum. You can see the full guide here. 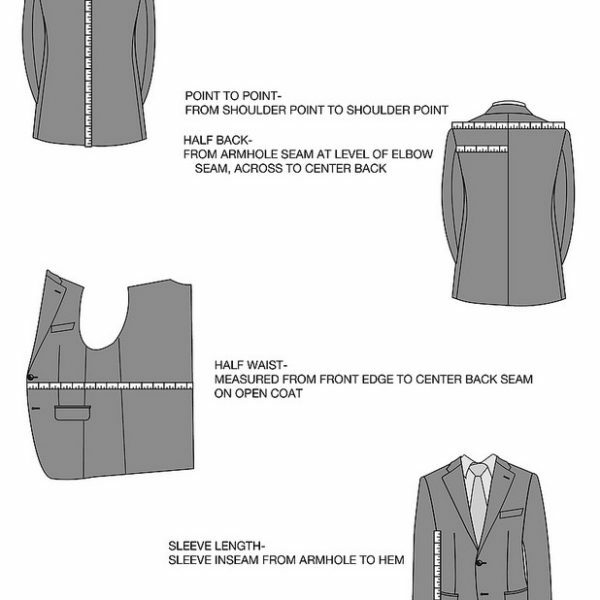 Note, if you’re buying online made-to-measure clothes, sometimes companies will have their own ways they want you to measure, so it’s best to always check with them first. The above is pretty much the convention though, from my experience.